'They are too tough politically for me to do anything about them! The AARP, the NAACP, the ACLU...they'll kill me in the next election if I say we have to reform Social Security, Medicare and Medicaid! When politicians say a program is an 'entitlement' or 'mandatory' and they 'can't touch them', they are flat-out lying through their teeth. They are the US Congress and US Senate, for gosh sakes! 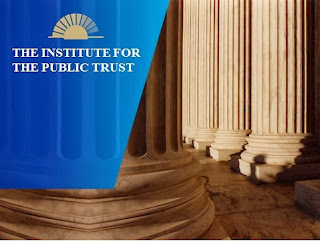 The US Constitution gives them massive power to do just about whatever they want, assuming they can get to 50%+1 in each chamber, that is, including reforming, cutting, changing, adding to or subtracting from any entitlement program now in force in America. We participated in such a process dozens of times. It is called 'budget reconciliation' and it is a term you have rarely heard during the Obama Administration except for one glaring example: when they used budget reconciliation to cram Obamacare down the over-matched GOP minority's throats. 'Mandatory' programs are considered 'benefit' programs based on formulas and meeting such thresholds as age 66 (for SS); 65 (Medicaid) or living at or below federal poverty levels (Medicaid). There is no other consideration other than meeting these standards to be eligible to receive benefits. 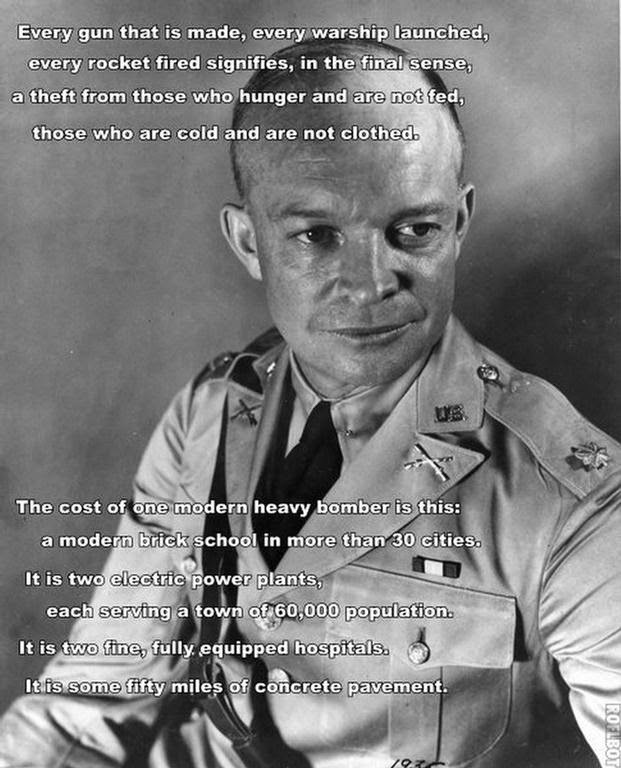 The one glaring truth of the matter is that if we would just arrest the rate of inflation in health care delivery in America to around the general rate of inflation in the rest of the economy, we could balance the federal budget in no time flat. No kidding. We have written about this in great depth in past posts but the bottom line is that the upward explosive growth in Medicare and Medicaid, as well as the military health programs and the VA to some smaller extent, are the most prominent upwards cost-drivers in the federal budget and have been for much of the past 4 decades. Take a close look at the infographics below detailing the growth in entitlements from 1993-2013. 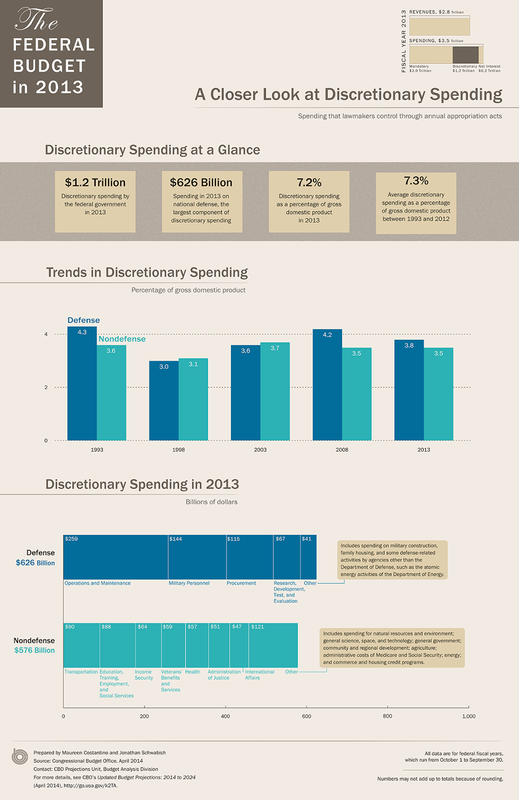 Mandatory spending account for 67% of ALL federal spending in 2013 or about 5.2% of GDP. 20 years ago, mandatory spending account for 2.6% of GDP in 1993. Mandatory spending has doubled as a share of GDP in 20 years. Medicare alone has grown 66% relative to its share of GDP during that time. Medicaid has expanded about 45% as a share of GDP during the same period of time, from around 1.3% to 1.8% of GDP. SS has expanded about 10% in terms of its percentage of GDP consumed during that time, mostly because so many Boomers got older and started retiring. It would have gone up faster expect for the steady increase in the retirement age set into motion in the 1983 SS Reform Act where the retirement age went up from age 65 to age 66 in small increments from 1984 to now. You didn't even notice it didja? We think it should go up on the same scale to age 67 in the next 5 years and then eventually to 70 since we are living so much longer lifespans. But other than those health care-related programs and to a lesser extent, SS, entitlements are relatively tame by comparison. Sure, they are still huge programs but they are not the factors driving up the federal deficits and therefore the debt. Forget the 'trust' (sic) funds cause they don't exist. Forget the 'Social Security Surplus' cause that is just a made-up moniker to disguise the fact that the 1983 SS Act raised payroll taxes WAY over what was needed to fund the retirees from 1984 to about 2007 before the surplus started drying up. 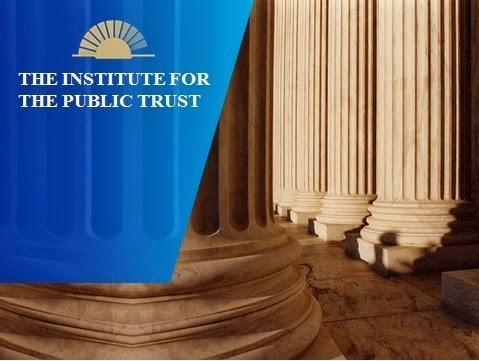 Entitlement programs are just like any other federal program in history: The IRS takes taxpayer money which is used to pay for the programs Congress authorizes. Politicians can't hide behind the 'mandatory' facade any more and we as voters shouldn't let them. There is no way the American people are going to tolerate a major hike in their payroll taxes, are they? The only way to deal with the rate of growth in spending in SS, Medicare and Medicaid is to deal with the rate of growth in spending! Senior Boomers had better hope that the foreign credit lines stay open through their retirement because without it, benefits will start to be pared back and in some cases, quite substantially. We believe there are a million ways to restrain the growth of Medicare. For example, we just heard that a senior we know who is about 70 years old is going to have 1) knee replacement surgery followed by 2) hip replacement surgery later this year. All paid for by Medicare. We don't know exactly what the costs of each surgery will be but we have heard that knee replacement surgery can cost upwards of $65,000 and hip replacement surgery can cost over $85,000. This 70-year old guy is going to have $150,000 of your taxpayer money (and what we can borrow overseas) put into his right leg this year! Study these charts below. They are important to understand. Show them to all your friends of all ages. We are all in this together. We better figure out how to fix it all together before paying interest on the debt/deficit bomb does it for us. Where does UNC get its funding? 1. capable of being done, effected, or put into practice, with the available means; feasible: a practicable solution. This one word in the North Carolina Constitution is always brought up when the issue of higher education is discussed and the method and means of how to pay for it are considered. 'Benefits of public institutions of higher education. Notice which words accompany 'practicable' in both cases: 'as far as' and 'as soon as'. Neither clause conveys the sense of 'absolute' or 'now', do they? Both clauses convey the sense of 'if at all possible' or 'when it is possible', do these things. Proponents of freezing in-state tuition in North Carolina often seem to misunderstand or mis-read these clauses. They would have you believe that the Founders of the North Carolina Constitution 'demanded' that in-state tuition would 'always be free'. Nothing could be further from the truth. They knew that money did not fall from the long-leaf pine tree indigenous to North Carolina like pine cones or pine needles. They knew there would come a time when there would be more than one student, Hinton James who walked all the way to Chapel Hill from Wilmington to enter the first class in 1795. Or at least they should have known. It was far easier to teach one student at Chapel Hill and give him a 'free' education in 1795 than it is today for the 18,430 undergrads who are there, 15,112 of which come from within North Carolina state borders. All that being said, what does that have to do with anything? It has to do with everything that is going on in the North Carolina state legislature right now and at the Board of Governors of the entire system and the Board of Trustees at every state institution. In-state tuitions have risen a lot in the last several years and there has been a hue and cry to freeze them or at least decelerate the rate of growth in future increases. This is all done in the vacuum bracketed by the 'as far as practicable' clause of the state constitution and the pressing fiscal budget realities of 2014, not 1795 or 1868. It costs, on average, roughly $21,000/year to teach every undergrad in the UNC System, from Elizabeth City State University to Western Carolina. For 2010-11, the latest year for official figures, in-state students in the UNC system paid 33% of the cost of their degrees on average which includes all the tuition and fees they pay. The percent ranged from 19% at UNC School of the Arts to 43% at App State. That means that the in-state tuition of roughly $8000 at UNC-Chapel Hill and NC State leaves about $13,000 per year to be covered by other sources. 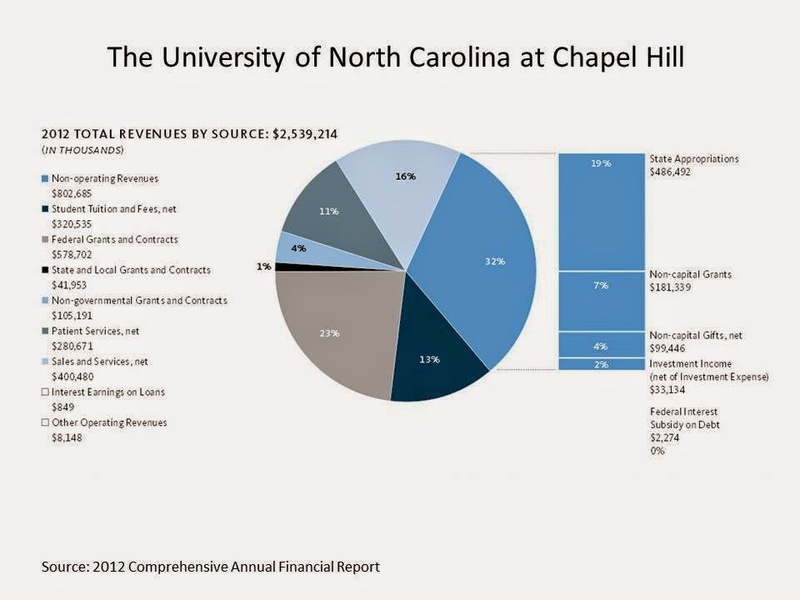 The University of North Carolina at Chapel Hill receives about 20% of their funding from the state legislature which means the balance comes from sources including federal and state research contracts and grants, hospital-generated revenues, athletics, and private funding from endowments and annual gifts. 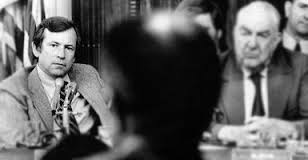 We can remember a time when the state legislature was able to fund 39% of the entire university budget in the 1980's. What has happened since then to cause the shift? For one thing, academic cost-inflation has been second only to health care cost inflation during that time span. University presidents and administrators embarked on a massive spending, building and investment spree since 1980 that could rival the arms race between the US and the now-defunct Soviet Union. Some of that can be attributed to the massive influx of the Baby Boomer 'echo' generation (our sons and daughters) entering our nation's colleges and universities. However, the peak of that boomlet entering college was in 2010. It is downhill from now on and many colleges will see declining enrollments and many will be forced to close. The main culprit, however, as we have noted before is the unabated growth of state Medicaid programs. Medicaid is an 'entitlement'. University education is not an entitlement. Medicaid bills have to be paid every year in cold hard cash by the states or else they have to declare bankruptcy much as Detroit had to declare bankruptcy. States do not have to pay for higher educational support each year as they do in Medicaid. That is the choice most states have to make nowadays: fund higher education or pay for more Medicaid services. It is pretty much that simple. We believe moving to Managed Care Organizations (MCOs) for Medicaid is the prudent and responsible way to not only provide better health care at a lower cost for our fellow Medicaid-eligible North Carolinians but also to lance the boil on limited funding for our state's higher education institutions. You want to see more funding for UNC, NC State and other universities in the state system? You should be for MCOs as well. And while we are at it, perhaps we should amend the NC Constitution while we are at it to use a more modern word than 'practicable'. No one ever uses that word anymore, do they? The University of North Carolina at Chapel Hill and NC State and the other universities in the system would still be a 'better value' than either of our neighbors to the north and the south. In-state tuition to UNC will be about $8200 for the 2014-15 academic year and about $8000 for NC State. Both are about a 38% discount to UVA and 27% discount to USC. The new clause would be a more 'practical' realization of the immutable laws of economics and political reality nowadays. We don't like to talk about death so let's talk about taxes for awhile today, shall we? The first bill on the floor of the US Congress when it convened for the first time in 1789 was a bill to debate import duties. Because now that the Framers and Founders of this country had achieved what they wanted, they had to figure out how to pay for it. Having a national central government with an army and navy to support and roads to tend to and post offices to build cost money, right? It just wasn't going to spontaneously combust and happen all of its own accord, now was it? The US Congress set up the first committee and called it 'The Ways and Means Committee'. For the simple reason that those guys were tasked with the job of finding the 'ways' and the 'means' to collect taxes without inciting a riot post-Revolution to be able to pay the bills of the new consolidated national government. 'Don't tax you. Don't tax me. Tax the guy behind that tree' became a famous saying from one of the more colorful Chairmen of the Senate Finance Committee in our history, Senator Russell B. Long of Louisiana. Mainly because it points out the truth of tax-writing legislatin'. We have to find the revenues to fund the basic essentials of our government...or else we are right back to the weak-kneed Articles of Confederation where each state has to defend for itself. And no really wants to be taxed do they? Even some liberal wealthy people such as Warren Buffett say they think 'tax rates should be higher on the wealthy!' and then they hire armies of tax attorneys and accountants to make sure they don't pay those higher rates! The point of raising taxes to pay for what we want out of our government is solely that; raising money to pay for services. The tax code should not be set up to provide special benefits for any person or any business. The tax code should not be set up to conduct 'class warfare' for political purposes. The tax code should not be set up to try to engineer social policy. Raising taxes should be only to do one thing: pay for what we ask our legislators to pay for collectively that benefit the nation at large. With that core concept in mind, let's look at where the current American tax system has deviated far from that mark. And why it needs to be completely replaced. Look at the graph below to see how much of our tax revenue actually comes from gift and estate (death) taxes. $19 billion a year. 0.76% of all revenues we take in in taxes. Believe it or not, that is decimal dust in the grand scope of things. It should be scrapped immediately. 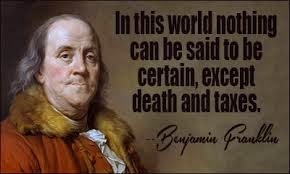 The time and effort to fight over death taxes, pay expensive tax attorneys and accountants to figure out complicated ways to avoid paying estate taxes and then collect any left over the threshold with IRS agents probably costs more than $20 billion per year to do so. Check out the amount of payroll taxes we collect each year. 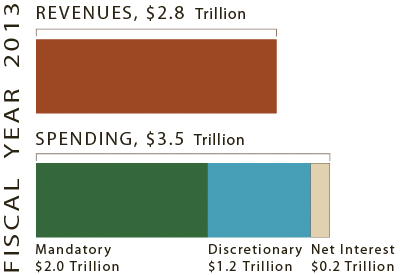 $948 billion in 2013, close to $1 trillion. These technically go to the Social Security and Medicare Part A 'Trust Funds' (sic) but don't come anywhere near to covering all the expenses. Medicare Part B is 25% covered by senior-paid premiums; the rest of it, 75%, is paid for by you, the general taxpayer every year. God only knows how much Obamacare, which is Medicare Parts E-Z apparently, will wind up costing the American taxpayer. Payroll taxes are the single most prominent example of a flat-rate tax we have ever seen in American politics. Everyone pays them when they have a paying job. Everyone pays the same rate; except for the self-employed who pay both sides of the employee/employer payroll tax or double what everyone else pays each year. Maybe it should become the basis for a true flat-rate tax in America and wipe out all the hundreds of thousands of special tax provisions, exemptions and deductions. It is already in place. 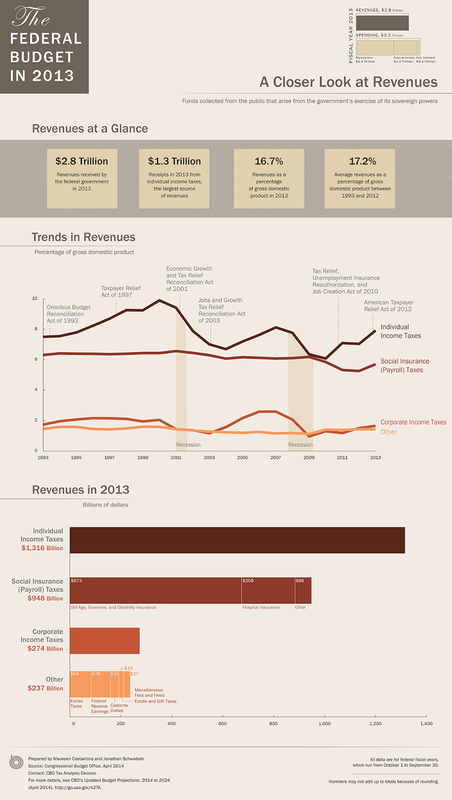 Corporate income taxes bring in close to 10% of tax revenues each year; in 2013, that was $274 billion. Guess who really pays those 'corporate income taxes', class? You do, the American consumer. Every single thing you buy each and every day has some corporation's or company's income taxes baked right into the pie, cake or tofu burger that you pay for when you eat it. Without corporate income taxes to pay, every item in America would cost that much less proportionally. The cost of those income taxes are now built into every tofu burger. Instead of it costing $5, it may only cost $4.50 or so. Corporate income taxes are just another form of double-taxation that nobody really realizes. Thomas Jefferson once said the first principle of taxation should be that every dollar gets taxed only once. The level of tax revenue collection has hovered around the average of 16.7% of US GDP for the last 40 years at least. No matter how may times we have cut taxes or raised taxes or created new taxes, the American public is willing to let go of about 16.7% of GDP in tax revenue to Washington. So let's just stop messing with the level of income taxation and beefing about the marginal rates that the average person really doesn't understand anyway. The 'answer', it seems to us is to move to a consumption-based tax to collect national tax revenue. It would replace the income, corporate, estate and excise tax system now in place which accounts for about 66% of the tax stream flowing to DC today. The payroll tax part of our revenue stream should then be aimed at filling personal individual retirement and medical savings accounts for every person who works and pays payroll taxes. This should have been done decades ago. It would take about a 20-year transition period but it can and should be done starting today if we can. Minimum-wage earners over the course of their lives could build up assets of close to $350,000 even under conservative investing methods going this route. Millions of Chilean citizens started to do so in 1980 and are now retiring with substantial nest eggs when compared to the rather meager $1300/month SS benefits most US seniors receive, assuming they reach the retirement age of 66 and don't die beforehand and not have anything to pass onto their families. Take a look at the chart below. Study it. Memorize it. 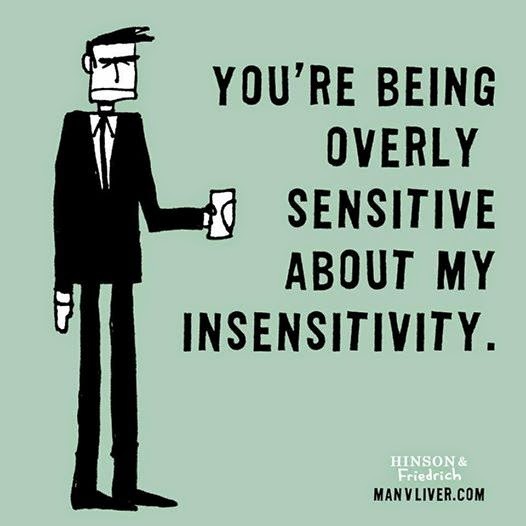 And then use it in your discussions with other people today and later in the week, month and this year. You may teach some people some valuable things. We were listening to the radio this past week when CBO Director Douglas Elmendorf was being interviewed by a PBS business reporter. Sadly, most Members of Congress, Senate and their staff do not read any of the CBO reports. They rely on the press clips from the journalists who don't read the CBO reports cover-to-cover either and just report the highlights of the synopsis handed out to them by the CBO press office. A few think tanks have young staffers who are hired to do what the older guys and gals are tired of doing, that is, plow through the CBO reports to come up with some nugget that will support their opinion or their slant on political life in America. So the only people in the United States of America who are regularly told to read CBO reports are you, the loyal Telemachus Reader, now in our fifth year, as hard as that is for everyone to believe, us included. We will share 5 more CBO nuggets with you this week, one after the other, so we apologize in advance for you getting an email every day of the upcoming week. We think these infographics outline the particulars of the federal budget in as simple of a way as is humanly possible without ignoring the complexities and nuances of having to deal with a $3.5 trillion annual budget in the first place, the largest budget of any human endeavor in history on this planet. We will provide some commentary to accompany each slide but we trust that you will study them and get back to us with any questions or comments you might have after your in-depth review of each. Spend our tax money wisely, prudently and in a conservative manner to keep us from going into financial and fiscal ruin as perhaps thousands of past civilizations have done in history. There can be nothing more simple than this graphic to explain where we are in our federal budget today. No matter how much we try to tax everyone and every activity known to mankind, we just can't seem to raise enough money to cover all the commitments that past and present politicians have made to various constituent groups in America, the largest of which are the retired seniors. 'Mandatory' spending mostly consists of Social Security, Medicare and Medicaid. As Obamacare takes full root in the American political and governmental landscape, it too will take its place beside these 3 Giants of American Federal Taxpayer Spending. Obamacare will help drive mandatory spending up to the point where mandatory spending plus defense spending plus spending on net interest on the national debt will exceed 100% of all the available incoming revenue to the US Treasury and then some. Those lines should cross not long after 2020, a short 6 years from now. If they say 'Nothing!' or sound like Elwood Blues singing nonsense like he did on 'Rubber Biscuit', then don't vote for them. And then run for that seat the next time around yourself. Cause they really don't know what the heck is going on.